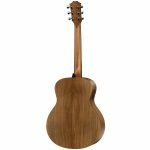 This alluring all-koa version of the GS Mini pairs a solid koa top with layered koa back and sides, serving up an inspiring blend of looks, feel and sound. 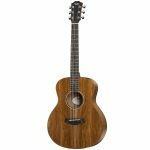 The compact Mini’s scaled-down design delivers ultra-portability for players on the go and couch-friendly comfort for picking at home, while the rich, full voice belies its size. 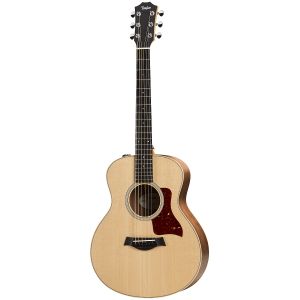 Taylor patented neck design guarantees signature Taylor playability, and the shorter 23.5-inch scale length makes forming a chords a breeze. Onboard ES-B electronics invite you to plug in whenever you’re ready, and feature a convenient built-in digital chromatic tuner with an LED display for tuning and low battery indication.